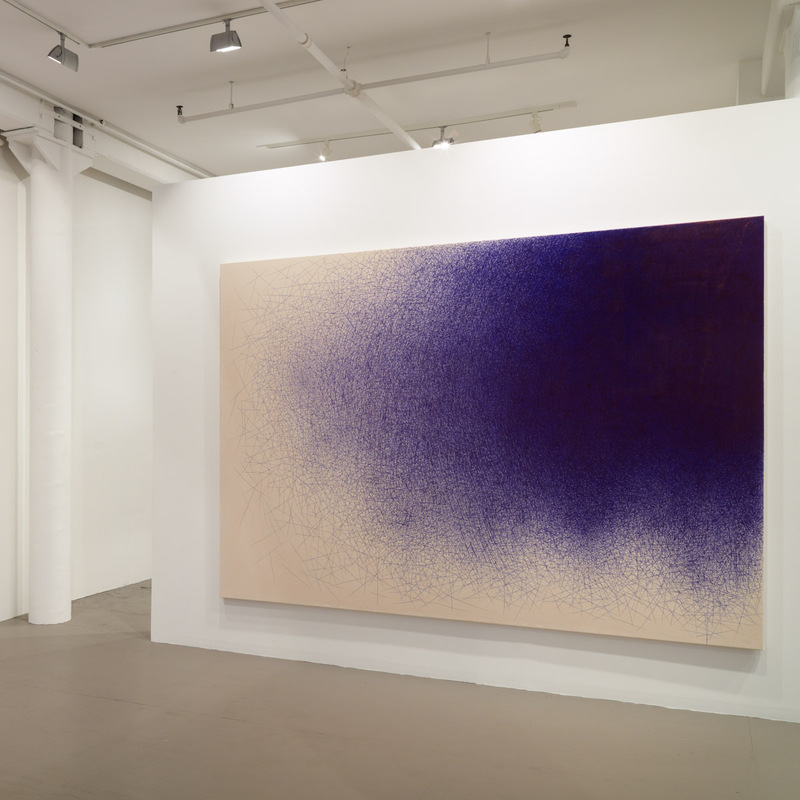 Installation view of Il Lee’s BL-1402 (2014) in IL LEE: New Ballpoint Works at Art Projects International, New York, 2014. 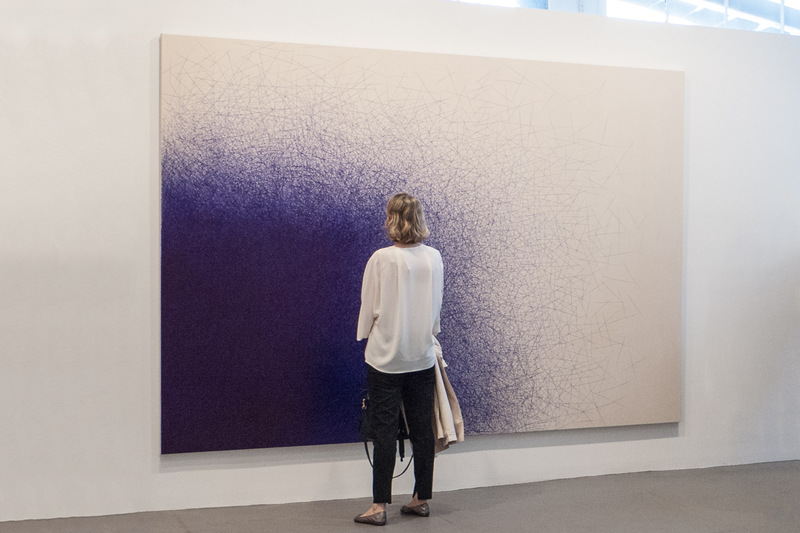 Installation view of Il Lee BL-1401 (2014) in IL LEE: New Ballpoint Works at Art Projects International, New York, 2014. 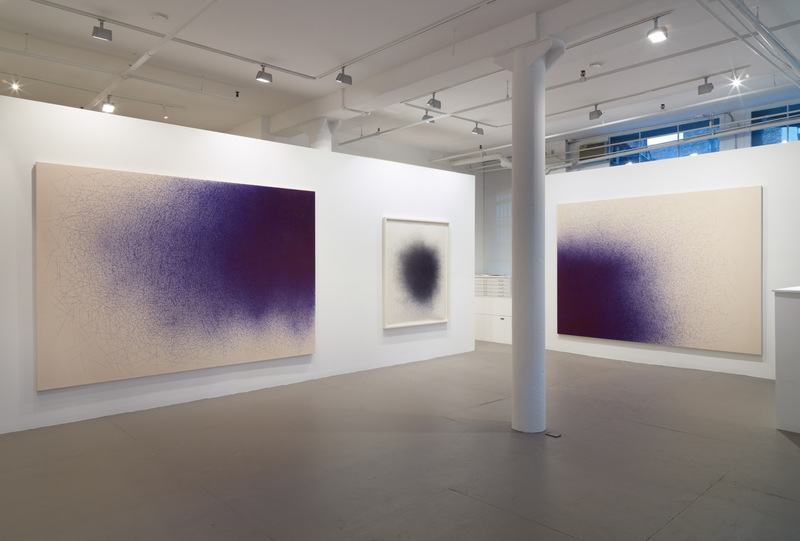 Installation view of Il Lee BLBK-1201 (2012) in IL LEE: New Ballpoint Works at Art Projects International, New York, 2014. 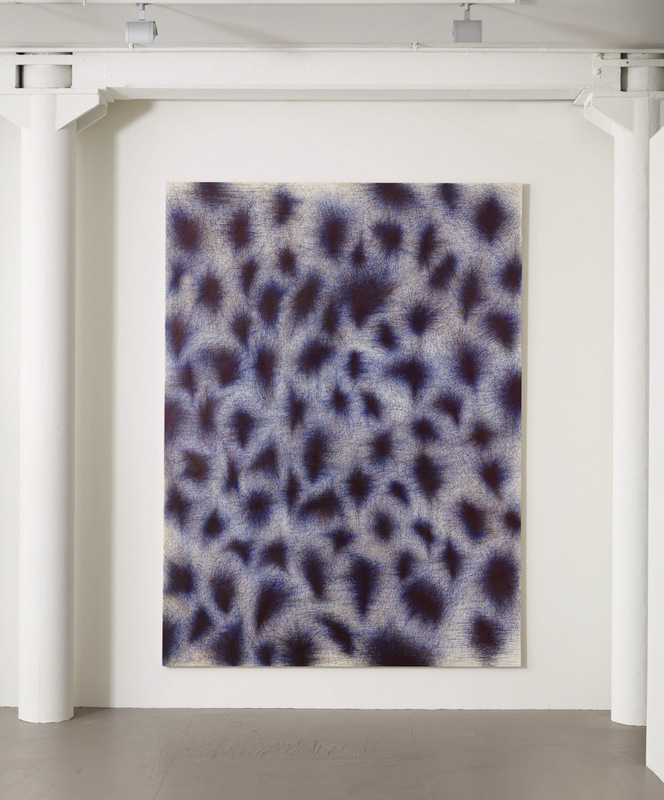 Installation view of Il Lee’s BL-094 (2008) in IL LEE: New Ballpoint Works at Art Projects International, New York, 2014. 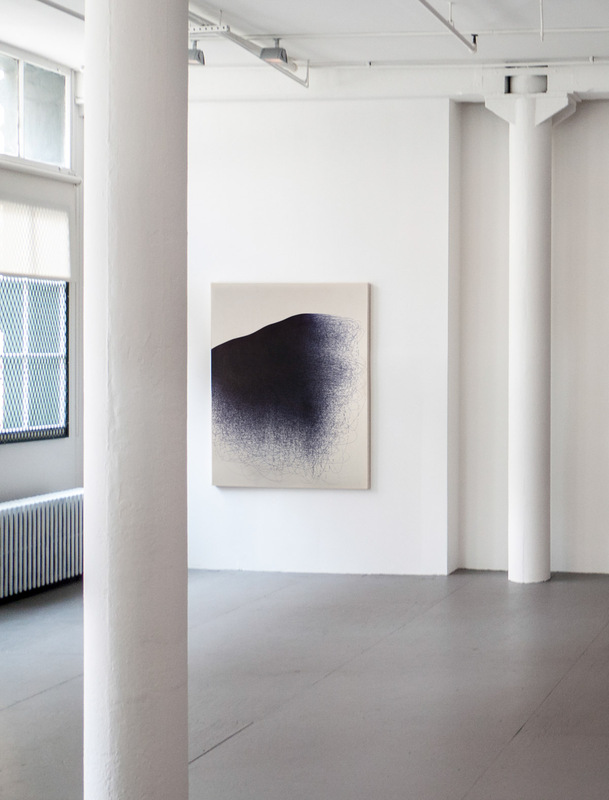 Installation view of IL LEE: New Ballpoint Works at Art Projects International, New York, 2014. 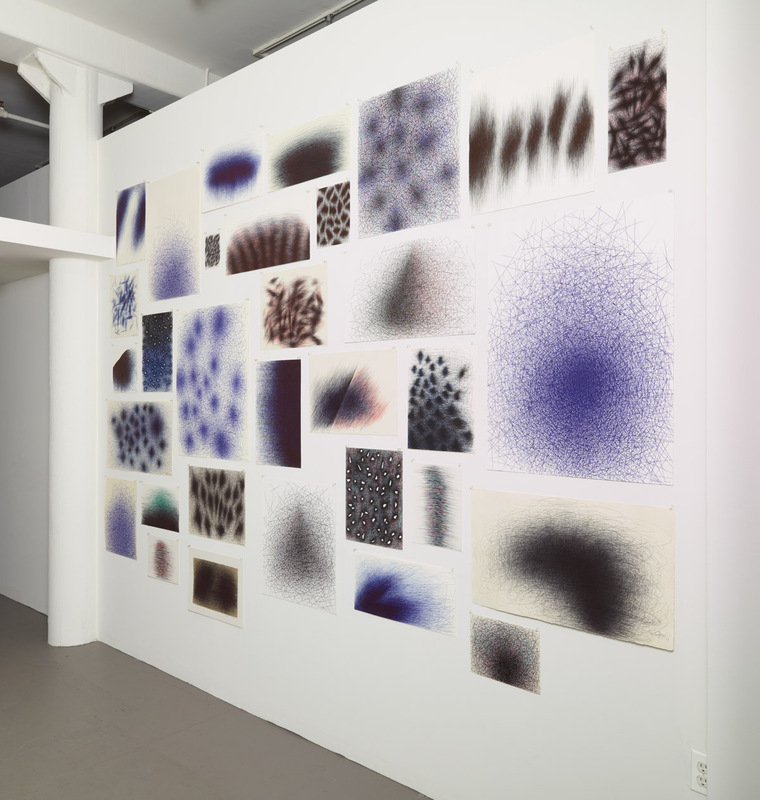 Installation view of thirty-two drawings (2008-2014) by Il Lee in IL LEE: New Ballpoint Works at Art Projects International, New York, 2014. 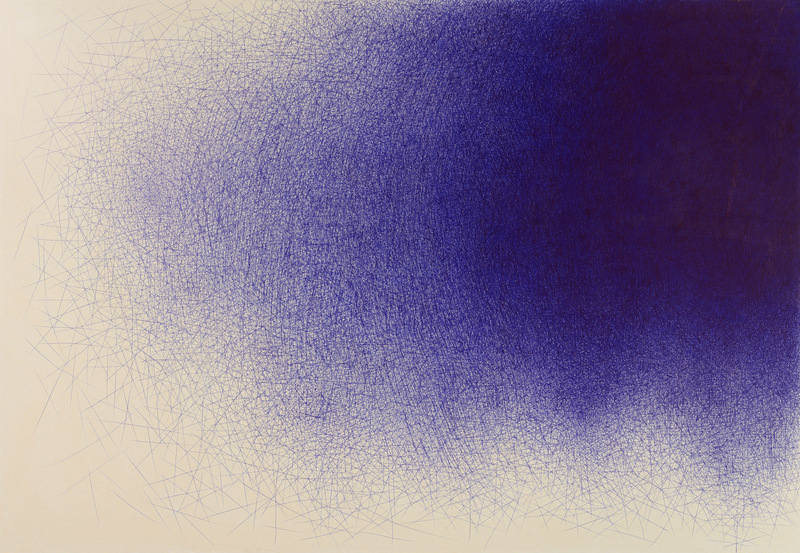 Art Projects International is pleased to announce IL LEE: New Ballpoint Works, an important survey of Il Lee’s most recent ballpoint works on canvas and on paper. 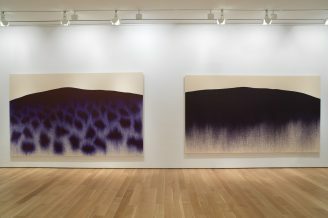 On view from May 1 to June 14, 2014, at Art Projects International’s expanded ground floor gallery space, the exhibition will be the largest showing of Il Lee’s signature ballpoint works in New York in recent years. The exhibition includes several of Lee’s latest very large ballpoint pen works on canvas and a generous selection of recent works on paper. Among the very large works on canvas are BL-1401 (2014) and BL-1402 (2014)—works that show Lee departing from his signature powerfully flowing (and seemingly endless) lines. Here the lines that overlap to create form are of a discrete length. In BL-1201 (2012), the form itself seems to float and is circular if not spherical, each of the short throws of line is straight or only slightly curved. The work BK-1201 (2012) features eleven oblong forms that occupy the space of the paper. In other series of Lee’s works such forms might define a two dimensional field that extends beyond the edge of the paper, but here the forms are contained within the edges of the paper as if in a corral. In addition, these forms have a suggestion of volume and some even give the sense of overlapping others. This volume and overlap, in turn, suggest gentle movement. The work BL-096 (2008) presents an iconic Lee form—a billowing tower or monolithic presence rising from below. 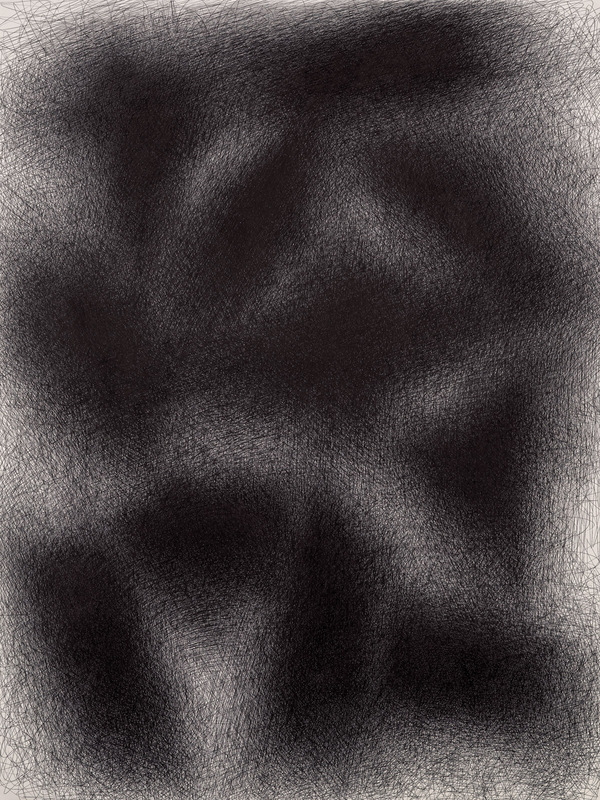 In works like BLBK-1201 (2012), starbursts gather and transition, becoming their own dominant theme. 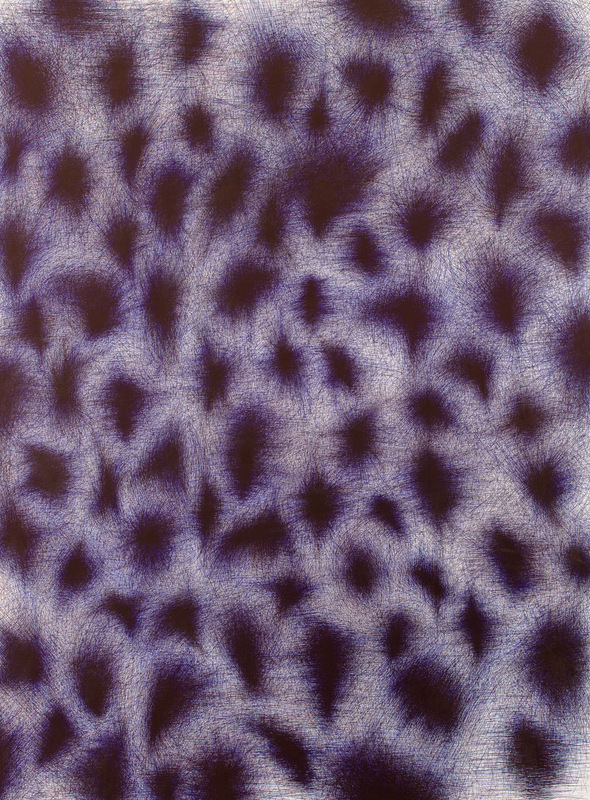 In other works, orchestrations of repetitive lines suggest futurist depictions of movement and fields of structures, and in still others, endless lines of blue and black (or sometimes with a hint of color) create unique ink abstractions that have become his signature. 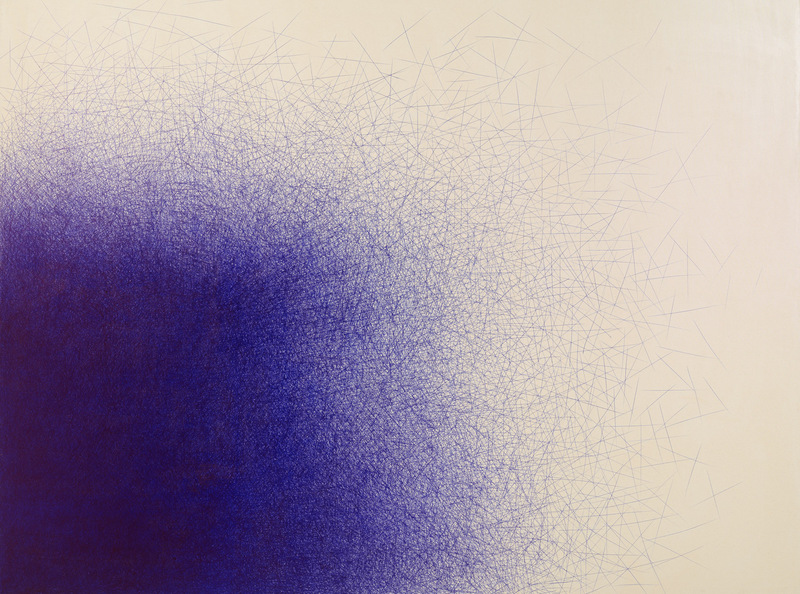 For decades, ballpoint pen work has been fundamental to Il Lee’s artistic output. Lee has had and continues to have an extraordinary ability, with his chosen limited means, to deeply explore concerns of line, form and space while at the same time experiment and develop new territory. Lee’s process is at once rigorous, spontaneous and tightly controlled, and as a result, the careful viewer is rewarded with an understanding of the basic thinking Lee undertook to arrive at works of infinite complexity. Il Lee works serve as primers on nonrepresentational form, active mark making and a conceptual yet hands-on approach to contemporary drawing. Lee’s simply understated work appears unprecedented and opens up discussions of the new while at the same time reveals its influences. Lee’s culturally multi-faceted nature of his work with its unorthodox media and distinctive style informs the contemporary moment and over the past decade, Il Lee’s international following has grown significantly. 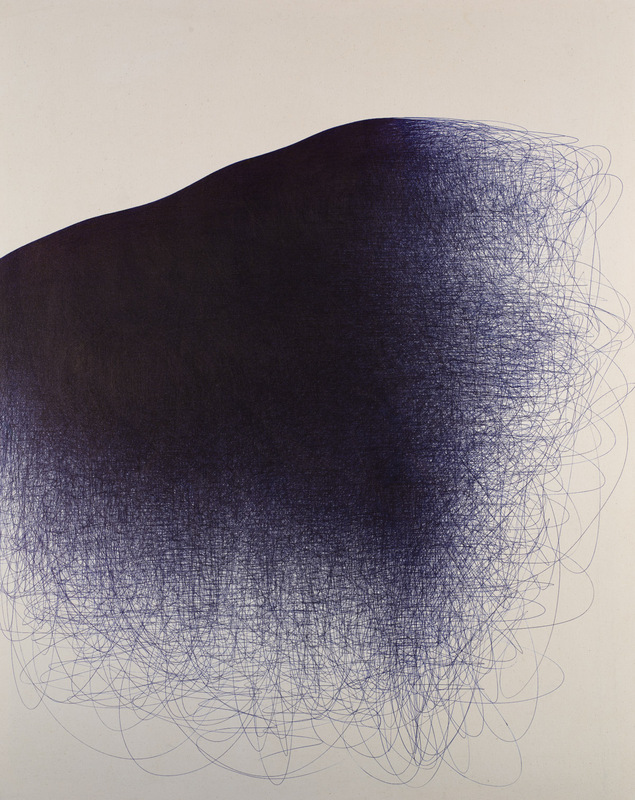 The pioneering work with ballpoint pens that Il Lee has developed over the past three decades has been critically acclaimed and widely recognized with important exhibitions of his works at major museums and cultural institutions worldwide. 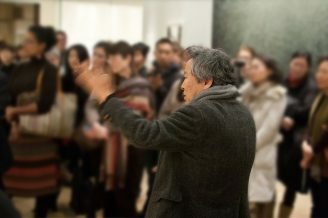 In 2007, Il Lee was a subject of a mid-career retrospective at the San Jose Museum of Art in California. IL LEE (b. 1952 Seoul, Korea; lives and works in New York). 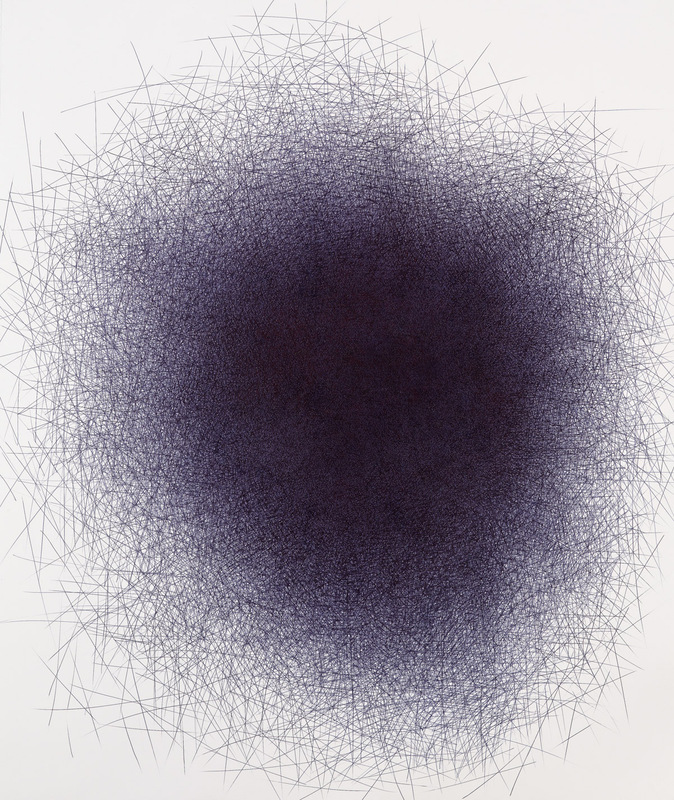 Recent museum exhibitions: Extreme Drawing–Ballpoint Pen Drawing Since 1950, curated by Richard Klein, The Aldrich Contemporary Art Museum, 2013; 11th National Drawing Invitational: New York, Singular Drawings, curated by Charlotta Kotik, Arkansas Arts Center, 2012; Representation/Abstraction in Korean Art, curated by Soyoung Lee, The Metropolitan Museum of Art, New York, 2010-11; New Vision – Ballpoint Pen Drawings by IL LEE, Crow Collection of Asian Art, Dallas, 2010; Il Lee, Vilcek Foundation, New York (2008); IL LEE: Ballpoint Drawings, curated by Joanna Kleinberg, Queens Museum of Art, New York, 2007; IL LEE: Ballpoint Abstractions, curated by JoAnne Northrup, San Jose Museum of Art, CA, 2007. His work is represented in major collections including the Metropolitan Museum of Art, Leeum Samsung Museum of Art, San Jose Museum of Art, Vilcek Foundation and National Museum of Contemporary Art, Seoul.